Hi, Jeff Morgan from Adtrans Hino. 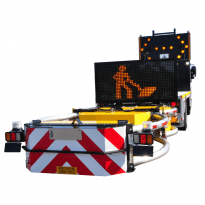 We've been a supplier to Kennards Hire for nearly 10 years. 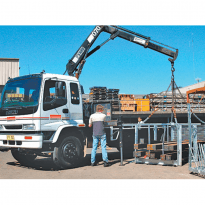 We supply all types of trucks from car license tippers, pantex with tailgates to medium duty trucks for different areas of the Kennards business. We've got the new low duty 4x4 here and the new 500 series model automatic. 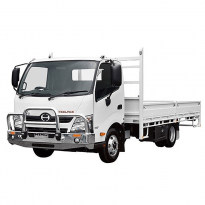 So, to hire one of these Hino products, contact your local Kennards branch. 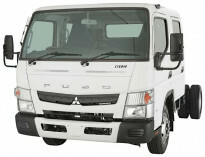 A versatile tabletop truck with 4 tonne capacity with the ability to transport five people in the crew cab. A tray body truck for general freight and pallet transport applications up to two tonne. Can be driven on a car licence. A tray body truck for general freight and pallet transport applications up to four tonne. A heavy tray body truck with hiab for general freight and pallet transport applications up to 8 tonne. 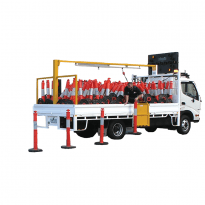 Bollards deployment truck with drop deck fitted with overhead safety arresting system providing easy deployment of large volumes of bollards.